Come and indulge yourselves in a treasure of exciting experiences, provided by nature and locals, who follow her inspiration. Port Beaufort situated on the banks of the river, and Witsand on the seaward side, where the river meets the mighty Indian Ocean. Our village offers the best of both worlds with sea and river activities to enjoy. Witsand is known as THE Whale Nursery of South Africa. 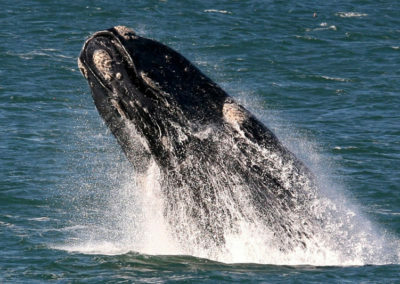 This is due to the largest concentration of Southern Right Whales that are found in San Sebastian bay each year. The 2013 aerial survey revealed that 82 new calves were born last season. The highest ever! Total of 184. It is nothing unusual to see up to 70 whales in the bay at one time. No licence for boat based whale watching, but we have various look out points from which to view them and photograph them. 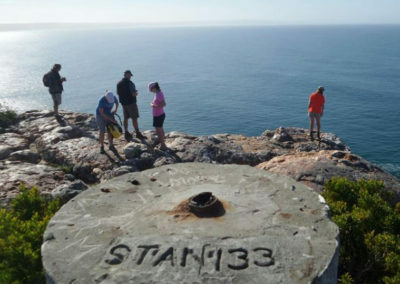 Long stretches of pristine beach are complimented by wonderful displays of Cape fauna & flora. Bird life abounds all around us and includes the Black Oyster catcher, and our national bird, the Blue Crane. The wide estuary of the Breede River is another natural wonder. Rich in historical value about the Barry family that opened up this area to commerce with a number of ships, the best known being the “Kadie”. 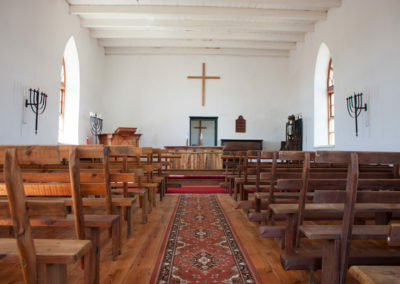 “The Barry Memorial church” built in 1859 is still in use today. 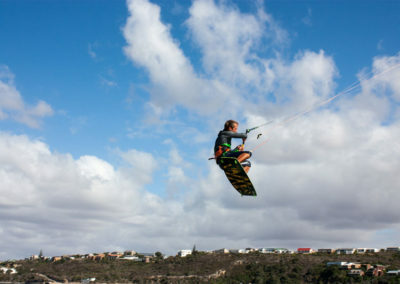 The bay and estuary provide a paradise for kiteboarders on flat water, and share these spaces with other natural watersports. Fishing is a tradition here, and the tall stories of those that were landed or lost, are often a feature of entertaining evenings with the locals. 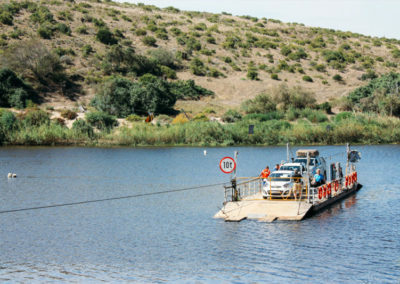 The only hand operated pontoon in South Africa is found up at Malgas, 35 km upriver, faithfully servicing this area of unpretentious human connections, and experiences that will create life long memories.